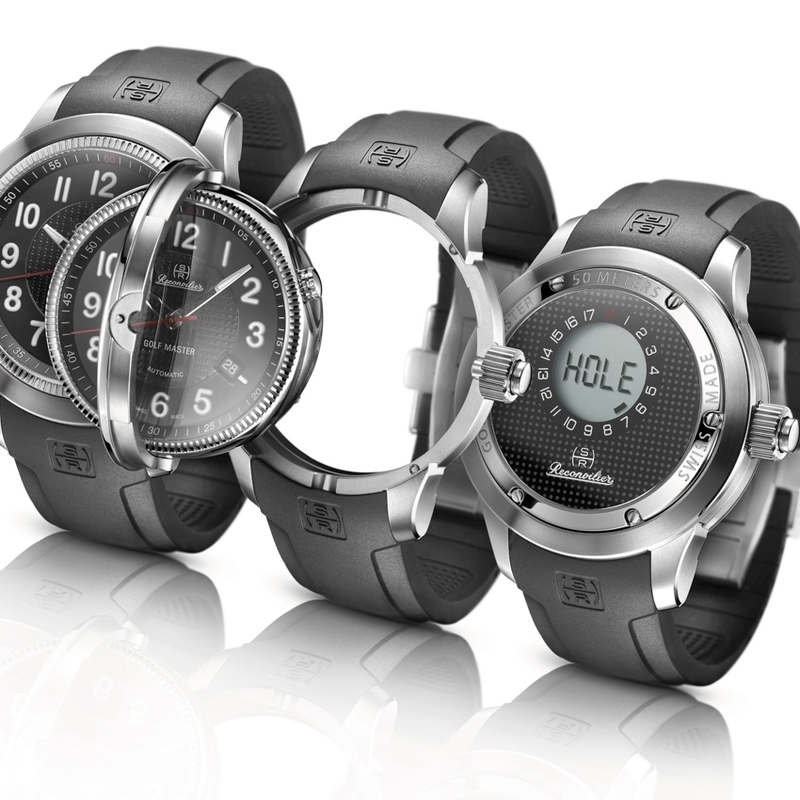 The front of the Hercules Golf Master resembles a traditional timepiece with three hands and date. Flip it over, and its digital rangefinder provides a wealth of invaluable information for amateur and professional golfers alike. 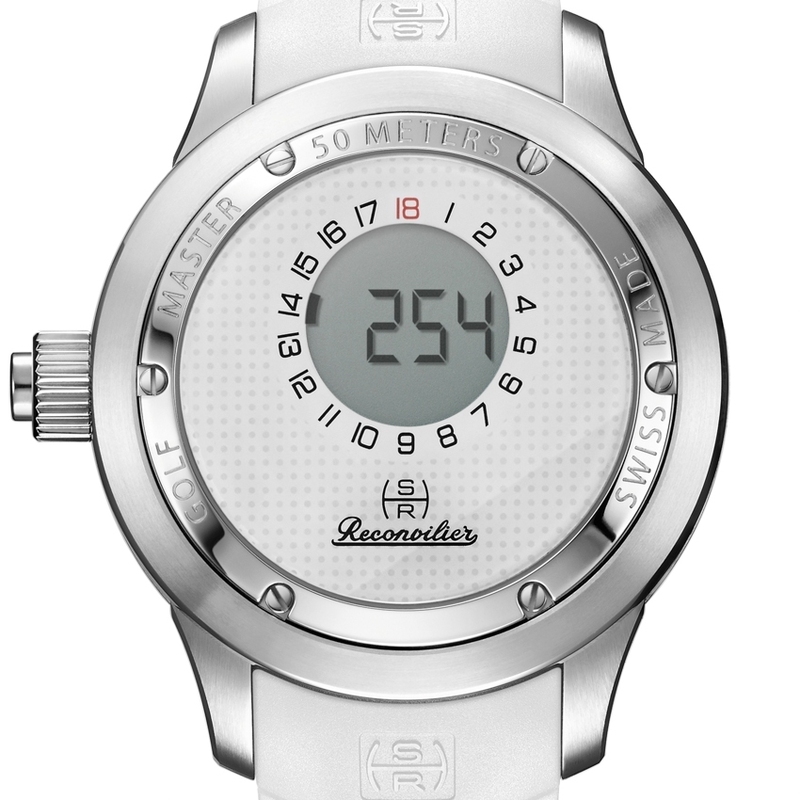 Reconvilier pushes the boundaries and revolutionises the green thanks to its "Caddie" base station, a GPS receiver that can be tucked away, for example, inside a golf bag and which relays data to the Hercules Golf Master's digital module. Distance to the front edge or centre of the green is given in metres or in yards. A light push alternates between the two sides of the watch, so players can flaunt their assets or make it their secret weapon. 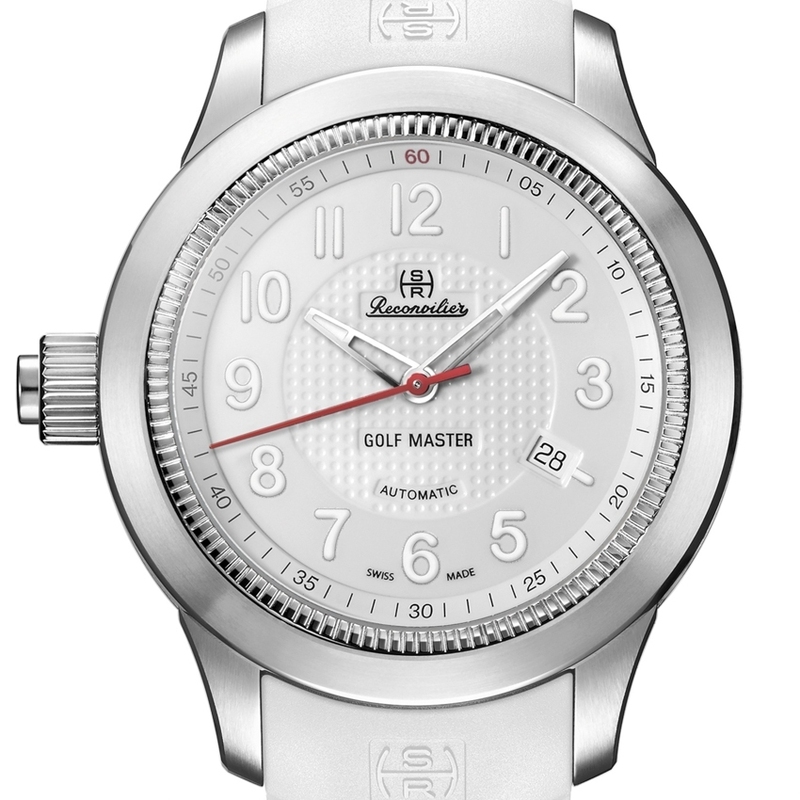 The Hercules Golf Master comes in two versions with crown at 3 or 9 o'clock. Neither promises to improve your swing but both will smooth your way around the course!